It’s been another jam-packed, amazing day at the 2018 ALA Conference! This afternoon I attended The Inclusive Makerspace #WeNeedDiverseBooks session led by Gina Seymour, a School Library Media Specialist. She offered some great advice on making your Makerspace or hands on learning activities accessible for a wide variety of youth, including those with disabilities or language barriers. Gina provided many simple tips with big impact, like providing triangular anti-roll crayons, instruction sheets with a visual cue for each step, and printing instructions in both English and Spanish. Other suggestions included labeling all craft materials used in making with not only a word but an image of what is inside. 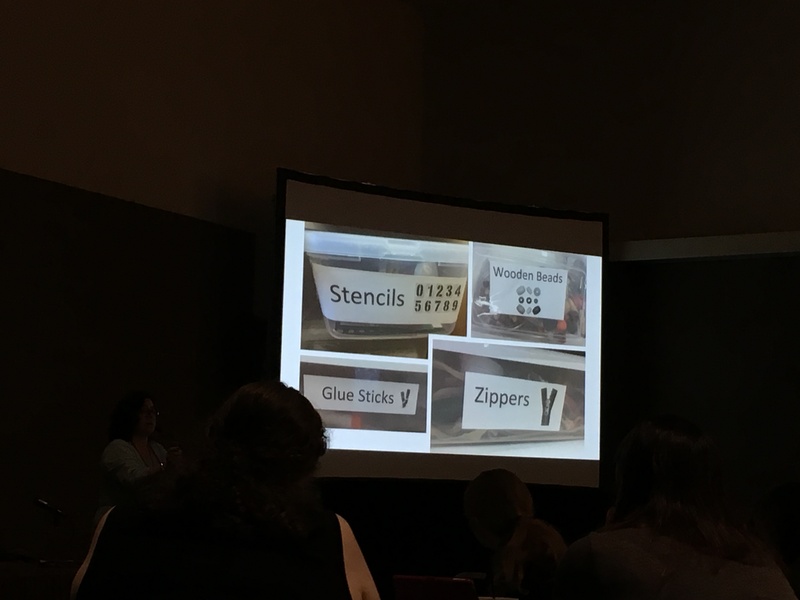 Example of labeled Makerspace supplies. She emphasized how making can promote the 3 E’s: Equity, Education and Excitement. 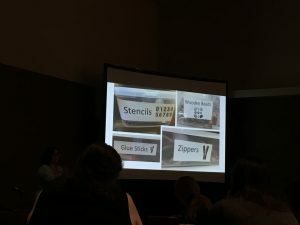 This session made me think of how my library could reassess our own maker-based activities and programming so that everyone can be successful and feel welcome. What physical changes can you make to increase inclusivity? Where can you make changes to increase participation by all your youth?